The Junior Naturalist Stereoscope is a great basic stereoscope with two magnification options: 10x and 20x, which are perfect for nature study. 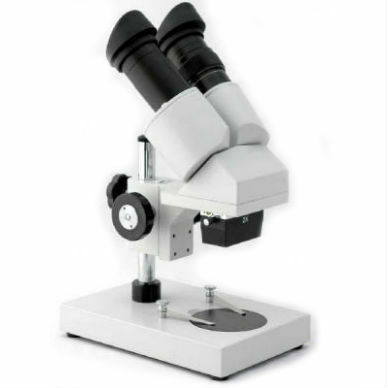 It features a 45-degree inclined binocular head with locked-in eyepieces; one ocular has a focus ring to adjust for differences between the viewer’s eyes, plus adjustable interpupillary distance. It has full optical glass elements and precise ground glass lens. The mechanical components are all metal. Includes a white/black plastic stage plate and dust cover. Use with any bendable-neck desk lamp (not included). 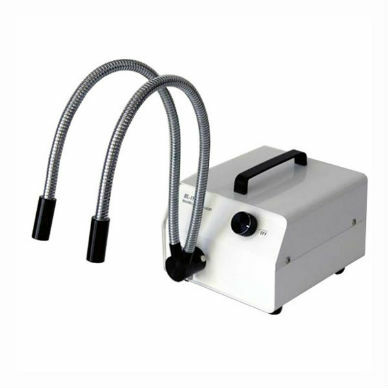 Great for viewing insects, plants, rocks, stamps, coins, jewelry, and electronic components. 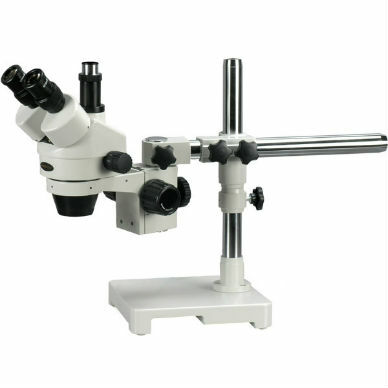 Overall scope dimensions are approximately 4.5″ wide, 6.5″ front-to-back, and 11″ high. 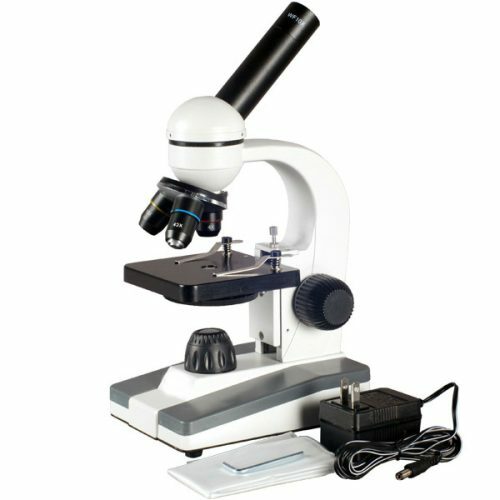 Comes with two sets of eyepieces (5x and 10x) and a 2x objective (built-in). Simply exchange the eyepieces to switch from 10x to 20x. 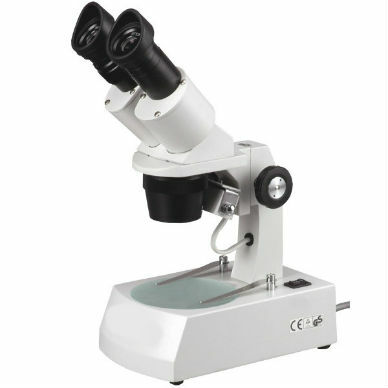 Visit our Learning Center to learn the difference between a stereoscope and a microscope.